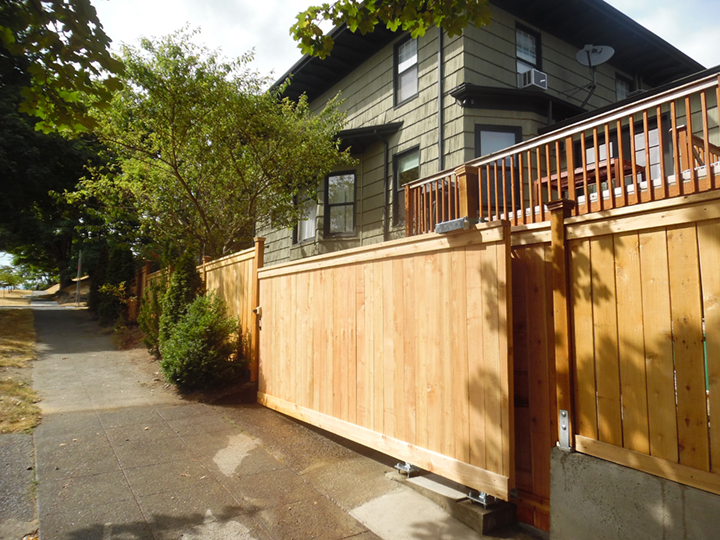 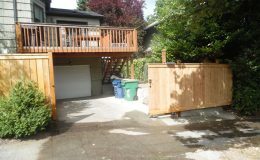 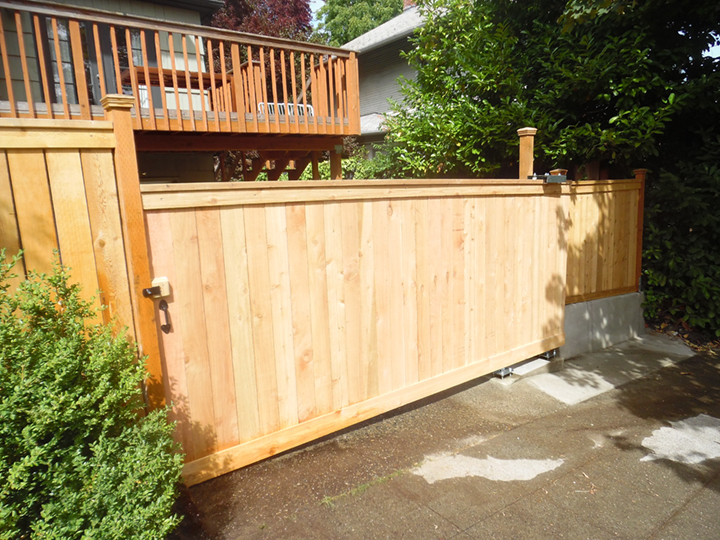 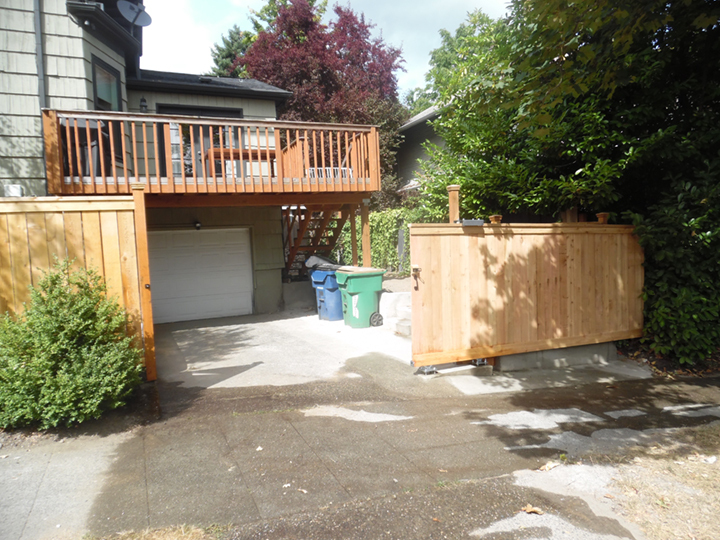 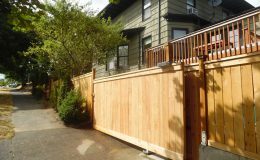 This residential, wood sliding gate fits perfectly in the tight space at this home in Washington State. 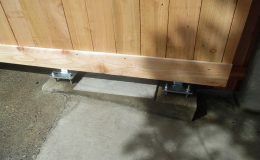 The smallest galvanized steel track model (CGS-250.8M) was used on this project. 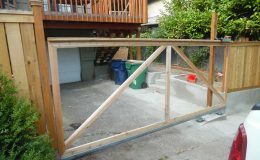 The wood gate frame has been mechanically fastened to the steel track and then braced for added support. 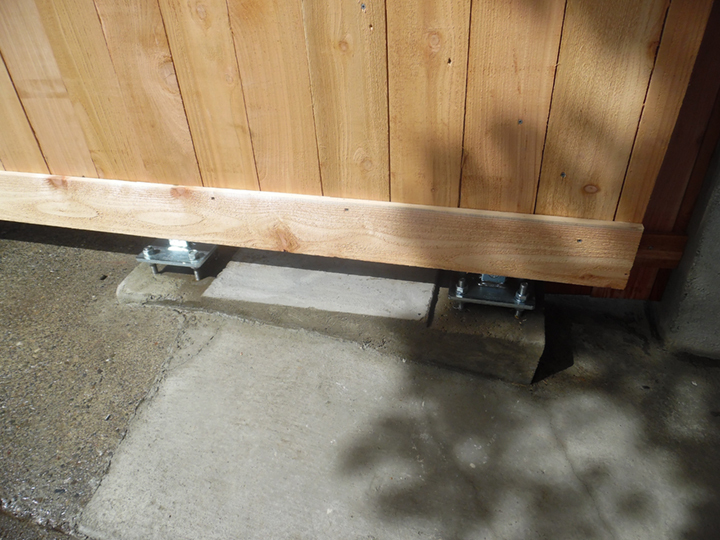 The ground surrounding the gate installation site is on an incline. 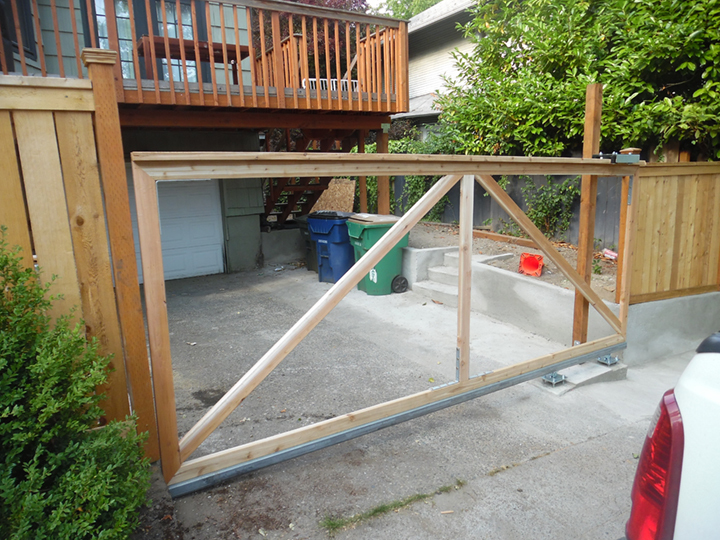 Notice how the installer had to adjust the carriage bodies to allow for the closing of the gate. 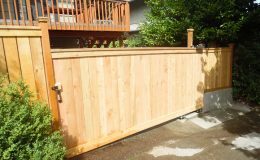 The look of this gate is completed by fastening a thin board across the front of the track.